Could anyone have helped save the lives of two young Brockton boys? 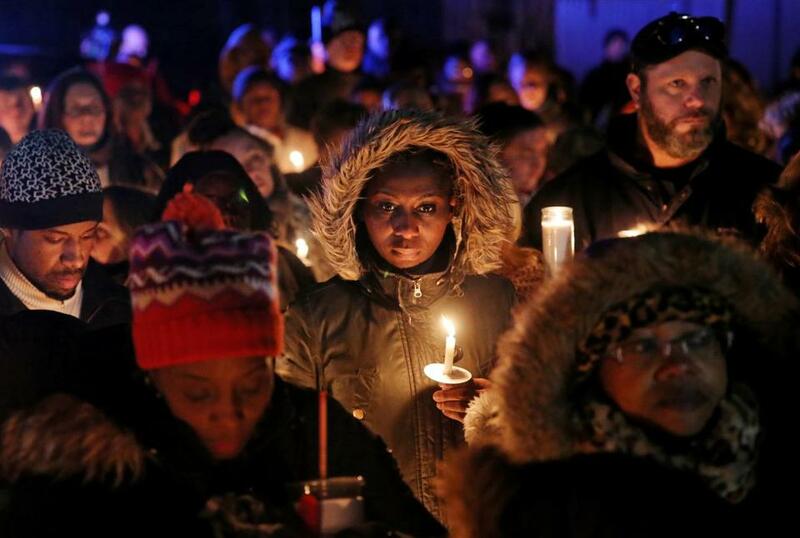 Community members gathered for a vigil in memory of 8-year-old Edson Brito and 5-year-old Lason Brito outside their home in Brockton on Thursday. What if we’d loved someone like Latarsha Sanders? What if her two boys were our grandchildren, or our nephews, our own children’s best friends? Today we’d be grieving, of course, and a lot of us are. That’s what happens when children die by unthinkable violence. If we knew she would allegedly stab them to death in an unfathomable ritual, we would have done anything: Called the police, called DCF, taken the kids away ourselves. That’s easy to say today. But what could we have done before we knew all that — before the discovery of their bloodied bodies, when they were just two boys and their mother playing in their Brockton apartment? Those answers aren’t so simple. 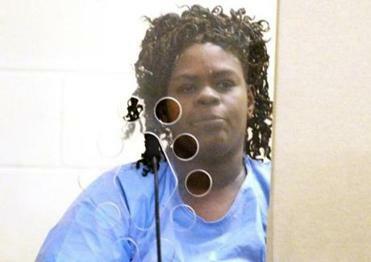 Latarsha Sanders allegedly stabbed her 8-year-old as part of a “ritual incident” and then attacked her 5-year-old son after she concluded that the first death failed to complete it. Sanders, arraigned Tuesday in Brockton and charged with murder in the death of 5-year-old Lason Brito and 8-year-old Edson Brito, was by the accounts of those who did know and love her afflicted with some kind of severe and untreated mental illness. The delusions relatives described to police were, if accurately described, obviously the product of severe paranoia. Her mother told police that she thought “the illuminati” — a secret society popular among conspiracy theorists — were after her, and that she thought she needed her son’s heart to save her father. Her family was at a loss, a police report suggests. She’d begun to spiral a couple years earlier, but refused to get treatment, Sanders’s mother told police. That’s not uncommon: One of the many confounding things about severe mental illness is that it can cause the person suffering to be particularly skeptical of help. After all, if you believe the illuminati are stalking you, the idea of telling a social worker you’ve never met about a shadowy cabal doesn’t make any sense at all. That’s not excuse-making. Explanations are not excuses, and Sanders will quite likely — and quite justifiably — spend the rest of her days in some form of incarceration. But before all that, what if Latarsha Sanders were our daughter, our mother, our friend? That’s particularly true within communities of color, said Misty Cranston-Bates, a licensed social worker who works at Meeting Point, a Boston collective that focuses on underserved populations. “This is a poor black family who probably has a lot of mistrust of helping systems,” Cranston-Bates said, something she’s seen again and again over the course of her career. That mistrust, some of it quite understandable, often makes reaching out to resources in the community nearly unthinkable. Sanders’s family surely should have done more when she turned up at her mother’s house ranting and raving last weekend. But what? Call the police? There’s no suggestion in the police report that Sanders had ever hurt or threatened the children. She’d allegedly been acting strangely all weekend and threatened to kill her teenage son, but police encounters with people suffering from mental illness too often end in death. If you didn’t know much about mental illness but you simply couldn’t imagine her hurting her own children, would you risk calling 911 on someone you love? What about the Department of Children and Families? Fair or not, the department’s reputation within poor and minority communities is defined by the fear that children will be removed suddenly and without good reason. There are options, but they are little known. The first step, Mauch said, can simply be gaining a better understanding, as a society and as individuals, of how mental illness works — understanding it as a sickness much like any other. To that end, programs like Mental Health First Aid, which trains and certifies everyday people in recognizing and responding to mental illness, is a good place to start. And people who might refuse to see a therapist or psychiatrist because of the stigma attached can often be convinced to see their primary care doctor instead. “There are people who trust their doctors who still have a really negative opinion of mental health care,” said Cranston-Bates, who envisioned a system in which trusted community members — hairdressers, mail carriers, church deacons, whatever — are trained to spot warning signs and work with families to guide people into care. 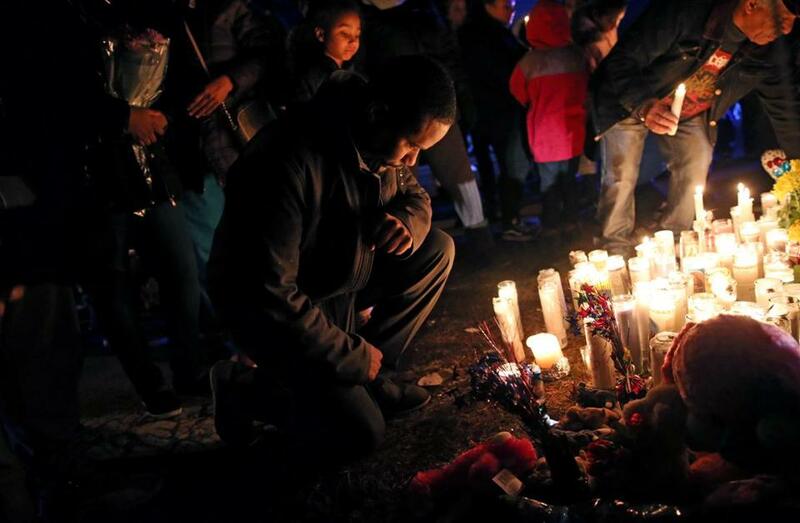 Edson Brito knelt at a memorial following a vigil. Would something like that have worked for Sanders? And to what extent did the people around her understand how bad things had become? It’s hard to say. DCF records are not public, so it’s impossible to know how much recent contact the department had with the family. But available court records suggest state social workers would have had more reason to be concerned about the boys’ father, who was repeatedly arrested for allegedly assaulting Sanders between 2009 and 2014. If the police noticed that Sanders was struggling then, they did not note it in their reports (charges in those cases were apparently dropped at Sanders’s request). “In this case, people are coming forward now with alarming information. But did DCF know any of this? From what little we do know, the available record could reasonably lead a caseworker to assume this was a responsible mother,” Richard Wexler, executive director of the Maryland-based National Coalition for Child Protection Reform, said in an e-mail. Wexler has been critical of the rate at which the state takes children into foster care. Cases like this one, he said, can spur “foster-care panic,” in which child removals spike in the wake of high-profile tragedies. That would only harm more kids, and perpetuate the cycle that led us here: Mistrust. Misunderstanding. Misery. For now, we live and die with a patchwork of services and a misunderstanding and distrust of illnesses that can be disheartening, confusing, and suddenly devastating. If we haven’t faced mental health crises in our own families, we are the fortunate few. What if we’d loved someone living with untreated mental illness? A lot of us already do. 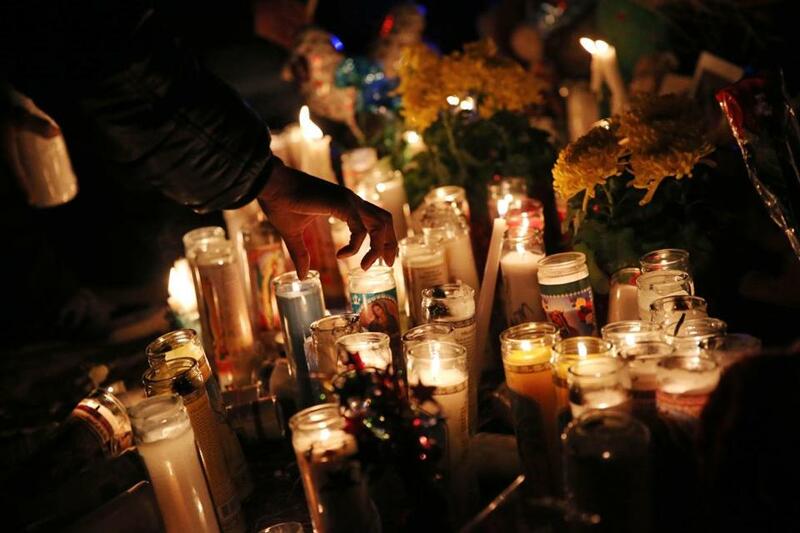 Members of the community gathered Thursday to remember the lives of the two children who were fatally stabbed and found in a Prospect Street home in Brockton on Monday.